If Bruce Springsteen sowed the seeds of small-town introspection, his fellow New Jerseyites Titus Andronicus are flooding the fields. The punk quintet deconstructed postindustrial life with its gut-wrenching debut, The Airing of Grievances. And the band’s sophomore LP, The Monitor, crushes the rosy spectacles of heartland rock, peeling away the façade of barroom camaraderie to reveal an entire generation inured to those highs. The comedown is a deeply pessimistic exploration of Americana and its now-quixotic quest for authenticity, loosely tethered to a fictional Civil War-era travel narrative spanning the trackless forests between New Jersey and Massachusetts. The band makes liberal use of quiet/loud/quiet counterpoints between vocals and instrumentation; muted guitar modulations explode with incendiary riffs and thunderous drums, then revert to quiet drone. Patrick Stickles’ choked Oberstian yelp surfs the slow boil of opener “A More Perfect Union” for nearly two minutes before a wry lyrical nod (“Cause tramps like us, baby, we were born to die”) introduces the lead guitar. 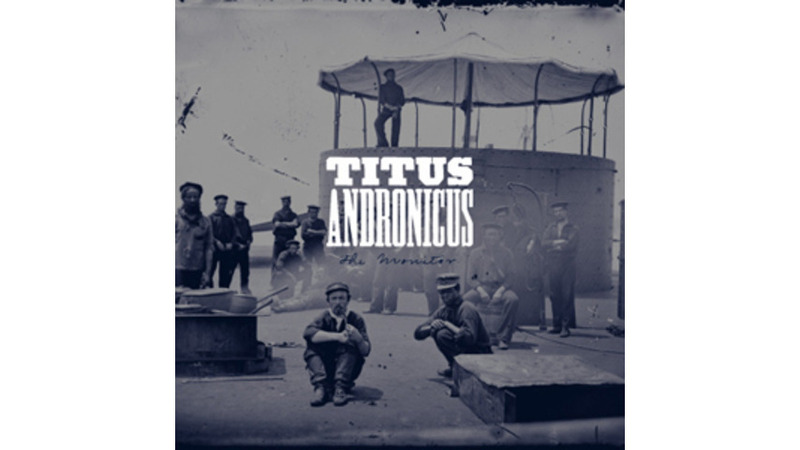 Bluesy piano rocker “Titus Andronicus Forever” and the banjo-driven stomp of “Richard II” paint apocalyptic portraits of physically and spiritually wasted communities. For Titus Andronicus, there are no more glory days to be had in Jersey, or anywhere else. “The enemy is everywhere” is The Monitor’s twice-invoked refrain, the central thesis of an album that’s both uncompromisingly bleak and impossible to ignore.